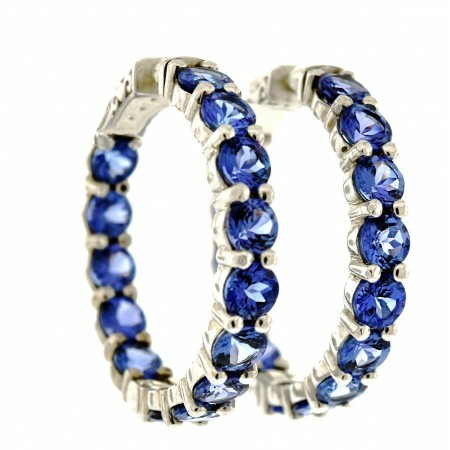 14K WHITE GOLD TANZANITE HOOP EARRINGS. THE INSIDE/OUTSIDE HOOP EARRINGS ARE SET WITH 28 ROUND TANZANITES TOTALING 11.13 CARATS. THE EARRINGS FEATURE A SECURE LOCK AND HINGE AT THE BOTTOM.